Bahrain has agreed to continue to recognize US safety certifications for American food and agriculture exports to the Gulf nation, US officials announced Monday. The agreement was contained in a memorandum of understanding signed March 30 by trade officials from both countries, according to the office of the US Trade Representative. Bahrain has been among the countries hardest hit by new 10 percent import duties on aluminum that were announced last month by US President Donald Trump. Manama, a major source of aluminum for the United States and key regional strategic partner, last month retained powerful Washington lobbyists to help navigate the new trade reality in Trump’s Washington. 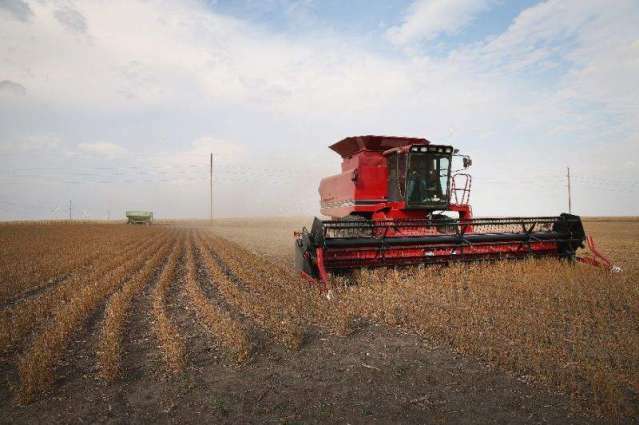 US farmers and agriculture groups have been strongest in opposing Trump’s spiraling confrontation with major trade partners, fearing retaliation by other nations will hurt US exports. “I am very pleased to support America’s farmers and ranchers by concluding and signing this memorandum of understanding that clarifies requirements for US food and agricultural exports to Bahrain,” Deputy US Trade Representative Jeffrey Gerrish said in a statement. US agricultural and fishery exports to Bahrain in 2017 amounted to $76 million, according to USTR. But Bahrain was the 8th-largest US source of refined and primary aluminum last year, with exports valued at $240 million, according to Commerce Department data. A free-trade agreement between United States and Bahrain entered into force in January of 2006.